I guess it’s not that tough to parse. GoogleTV single-handedly buried Logitech’s earnings. And their books weren’t the only thing stomped. 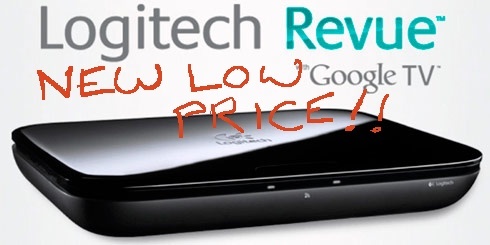 You probably remember De Luca as one of the more enthusiastic supporters of GoogleTV’s potential on the set-top. He probably didn’t mean “potential to destroy my career”. The good news is you can now get a Revue for the price of an AppleTV, although you may have to blow a bit of dust off the box.